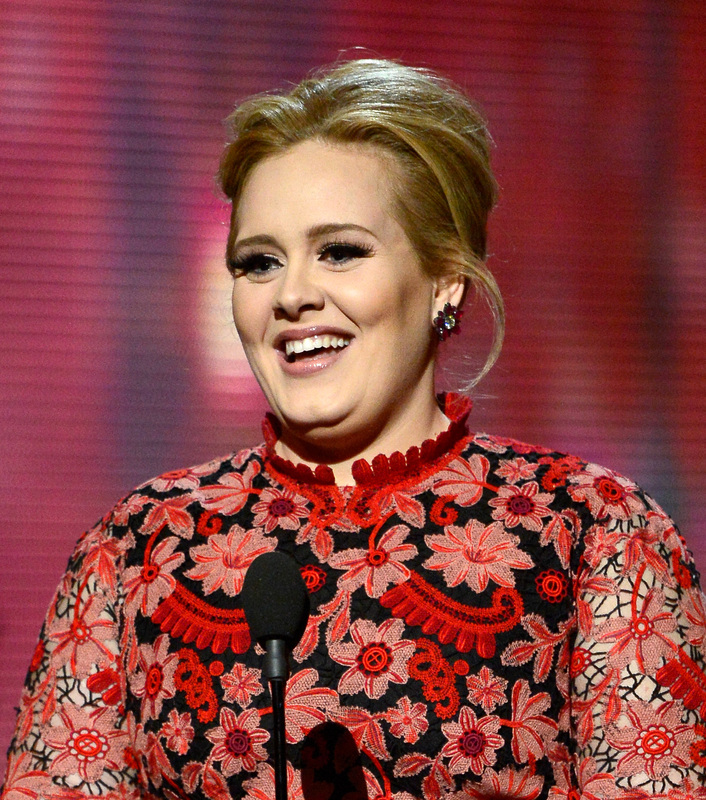 Although she's known for her ballads about heartbreak, Adele tends to keep her current love life private. She's been with partner Simon Konecki for a few years now and they even have a 3-year-old son together named Angelo. Still, she really doesn't say much about Konecki in public. In typical Adele fashion, she best expresses herself through song and I'm guessing she'll let her music speak for itself. With all of the hype surrounding her upcoming album 25, fans can't help but wonder: What songs on Adele's new album are about Konecki? As someone known for drawing from personal experience (hello, have you heard "Hello"? ), it's likely Adele is inspired by positive romantic relationships, just as much as the bad ones. He was like, "This is your [thing], like own it, do whatever you want" ... There are a few songs about our relationship, but the actual true meaning behind them is how like brilliant we are and how much of a team we are. It's great they're such a team! While fans have to wait until Friday to hear the full album, here's a list of the songs that are believed to be about Adele and Konecki's relationship. "Water Under The Bridge" is more like, I'm waiting for him to be horrible but I don't think he's gonna be, waiting for the relationship to end. This is the relationship now that I'm gonna be in. It was quite a ground-breaking moment. It was sort of about a relationship suddenly getting really, really serious, and then getting a bit frightened by it, and then realizing that "I think this must be right. This is the relationship that I want to be in for as long as I can possibly be in it." Personally, I can't wait to hear this track. Although I'm a sucker for Adele's breakup jams, I bet her love songs are equally great. What did come out of their time in New York was the song "Remedy," about her best friend and her grandparents and her boyfriend, but mostly about her son, who she had with Simon Konecki (they're still very much together FYI, despite the tittle-tattle of the tabloids and Sidebar of Shame speculation). Speaking to i-D about this song, Adele said, "Because 'Remedy' is so great, and I loved singing it so much I got excited like 'I'm on a roll!'" Although she went on to explain how it gave her a false sense of confidence with the rest of her music, the fact that she feels so strongly about the song says a lot. "All I Ask" is a collaboration with Bruno Mars that may also be about Konecki. According to the New York Post, "[Konecki is] clearly the impetus for such standout moments as the rousing soul-pop of 'Water Under the Bridge' and the sweeping 'All I Ask.'" It's unclear how they know this, but for now, I'll count it on the list. Based on the above, it's safe to say that this album isn't as heartbreaking as Adele's previous work. (Thank goodness!) Once 25 is finally released, fans can pour over the songs even more and see if any other tracks are inspired by the singer's current relationship.